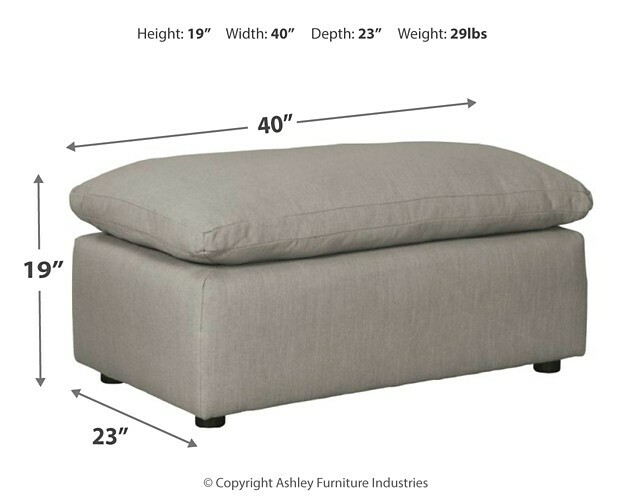 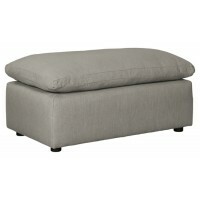 When it comes to comfort and easy, breezy style, this oversized ottoman puts you on cloud nine. 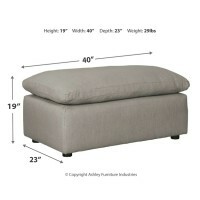 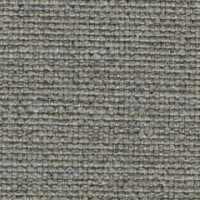 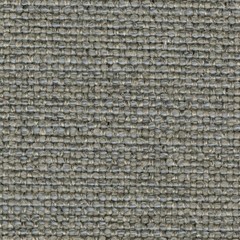 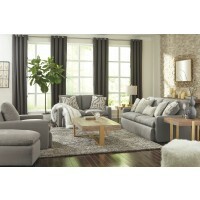 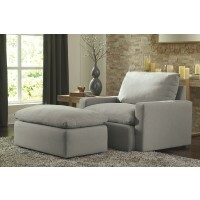 Stuffed with high-quality feather fill, the ottoman’s cushion feels every bit as sumptuous as it looks. 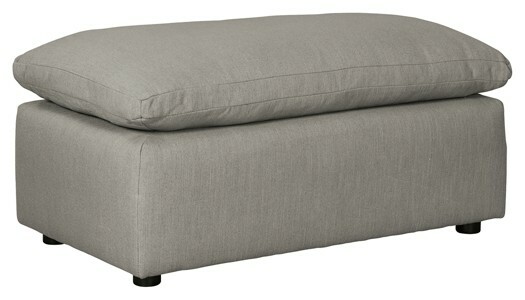 An effortlessly chic choice that’s sure to blend beautifully with everything, this ottoman in mineral gray is neutral with a new attitude.